Hi, can someone layout the steps to change a static image on an RDLC report? Not the easiest thing to write out in a reply and it is something I think better learned by "seeing it". There are a lot of different ways. 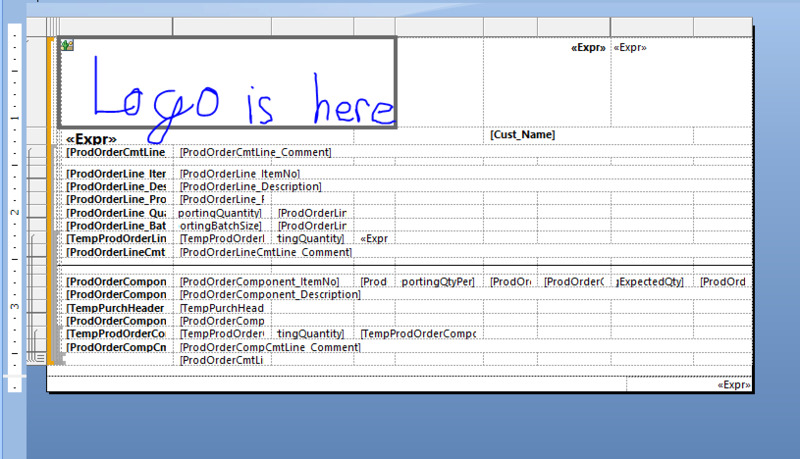 I would start with report 10075, Sales Order. You should see a few items in the dataset related to Company Information - Picture. You'll need to define a global variable that points to Company Information and do a GET in the OnPreReport trigger, along with a CALCFIELDS on Picture. Depending on your version you may also see some code like "FormatDocument.SetLogoPosition" that you could reference. From the 10075 layout you could potentially just copy the picture boxes and paste them into your new layout.